October sees the release of the NEW AND IMPROVED Luthor. 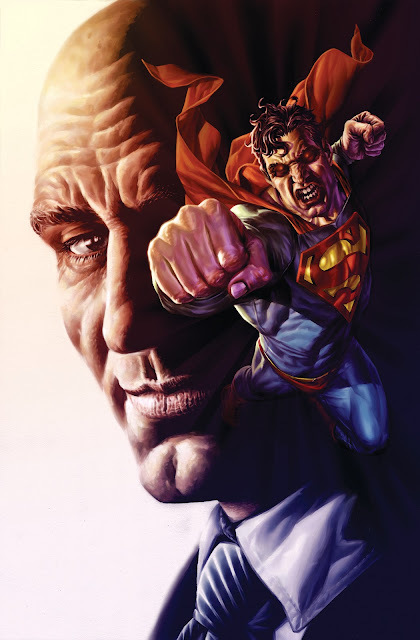 A new hardcover collection of the original mini-series by Brian Azzarello and Lee Bermejo with all new story pages (half an issue’s worth) and bonus sketchbook material. Also, when DC sayd new story material, they really mean it. They've actually added new sequences throughout the book as well as adding pieces to existing scenes and re-shuffling the position of others. This ‘new cut’ really enhances the original story and broadens it. 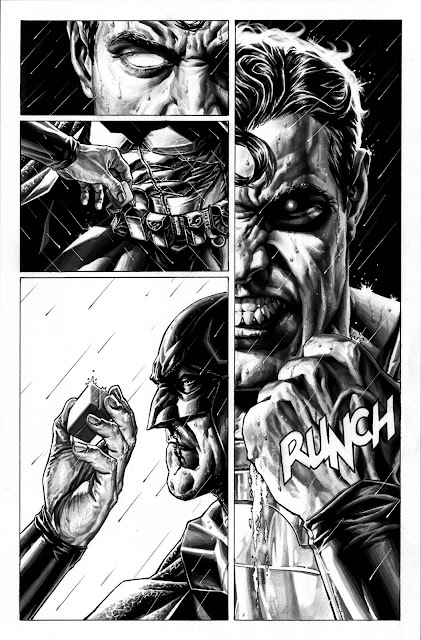 For example, here are a couple pages we added to issue three, sans coloring and lettering. In the original version, the fight between Superman and Batman was cut off towards the end. 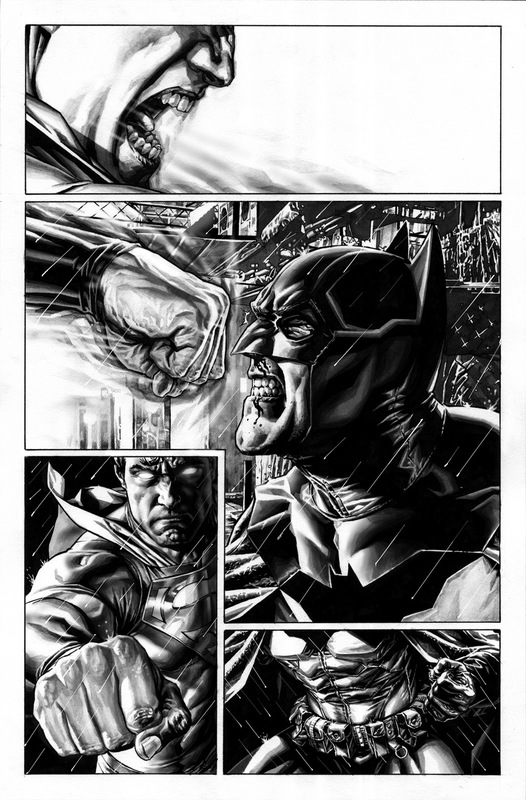 These two new pages continue the last page of the fight and allow readers to really find out what Superman was after. These pages are beautiful. The scene with Superman and Batman is amazing. I normally do not rebuy "updates" books. I am going to make an exception this time.